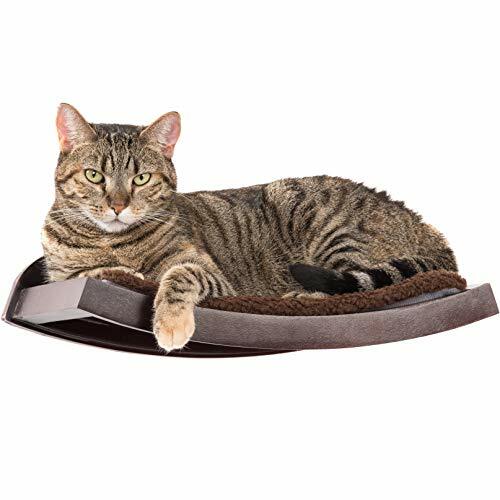 If you don’t have a lot of room in your home for something larger, like a cat tree, why not enjoy cat shelves instead? Yup, I said cat shelves. 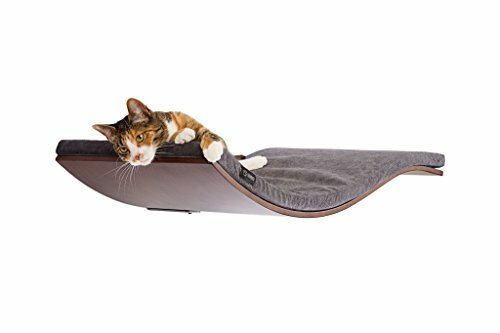 When we lived in a smaller space we went looking for something that could give our cat a fun thing to really play on that wouldn’t eat up all of our living space. So, we ended up turning to cat shelves. 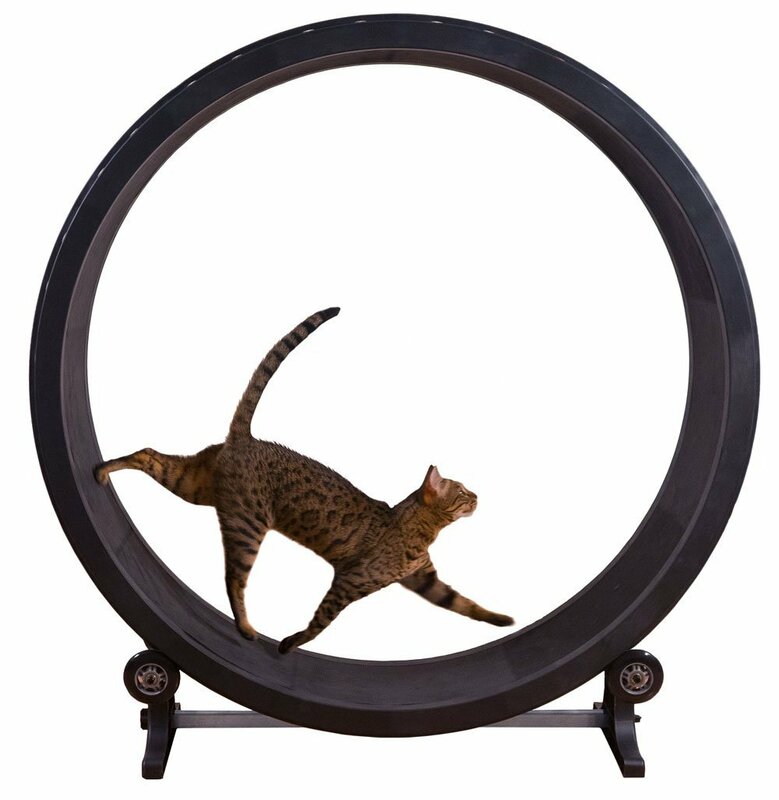 They are the latest, and if I may say so, the coolest craze in cat furniture. 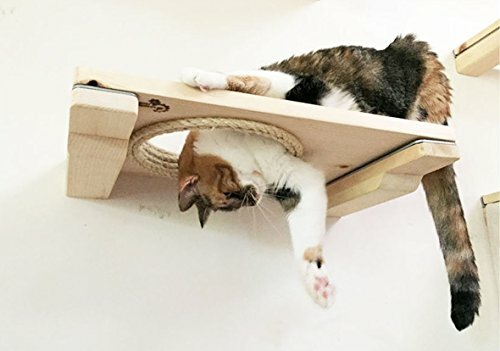 These ingenious and cute platforms, hammocks and scratchers are made to attach to your walls. 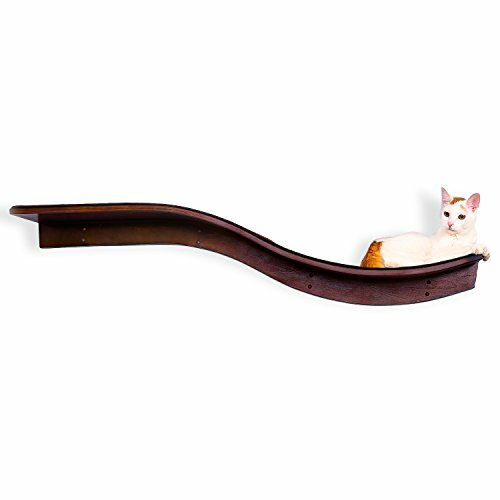 If you’re in a hurry, check out one of our favorite cat shelves! 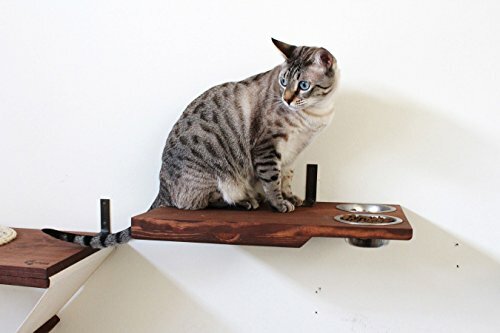 We particularly liked this CatastrophiCreations cat shelf because it’s a lovely activity center, has been reported to be well spaced for being anchored into the studs within your walls and is very sturdy. 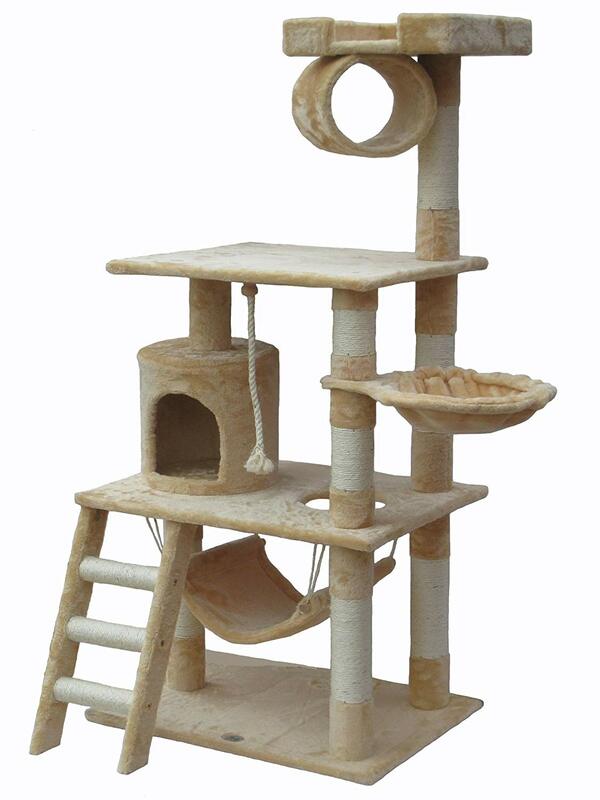 Plus, it’s quite pretty and has a lot of places for your cat to lounge! And very comfortably too, from the looks of it! 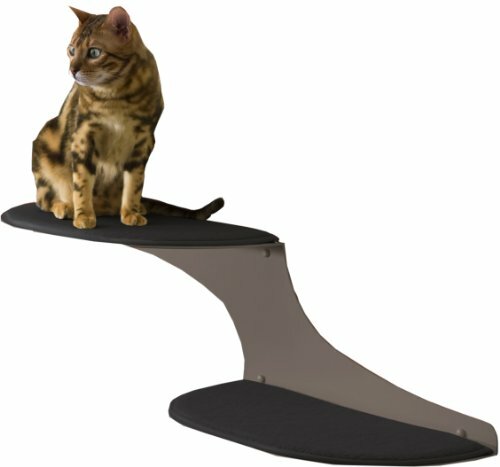 Honestly, I think CatastrophiCreations makes some of the best cat shelves. 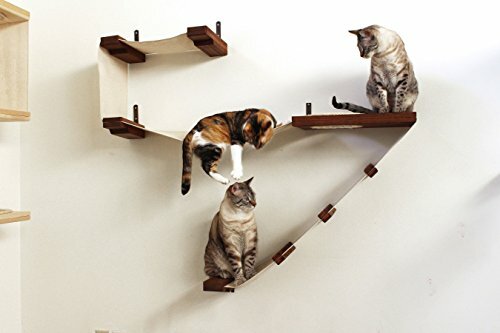 I think the only thing to note is that you might want to get your partner or a friend to help you put it up, since two people putting up interconnected cat shelves of this kind will be a lot easier than trying to do it on your own! 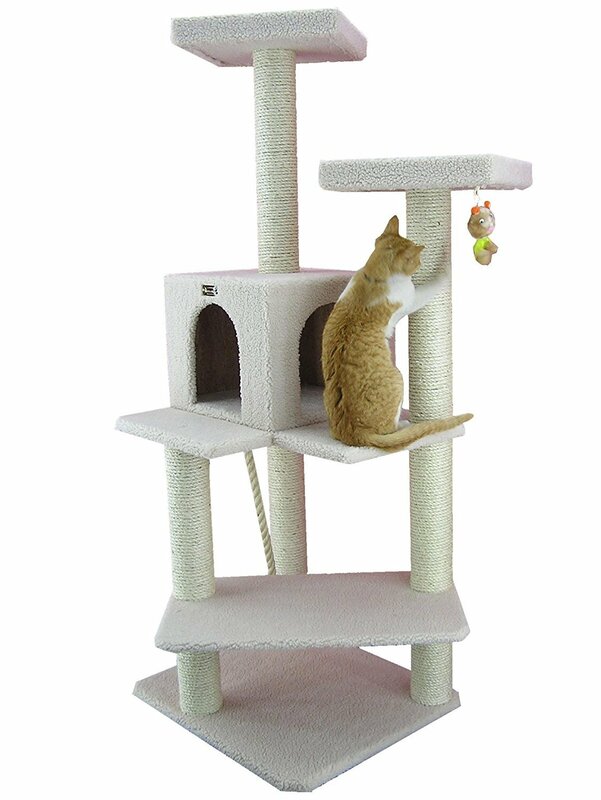 Cat shelves of any kind give your cats a lot of coveted “up high” space to play and hang out on. And the sky, or in this case the ceiling, is the limit on what you can do for your cat. 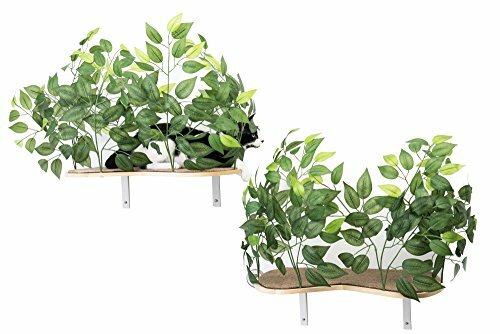 Whether you start small with one platform or get a larger kit, like the one above, you’re sure to be addicted to creating new play spaces for your feline friends once you get started building with cat shelves! 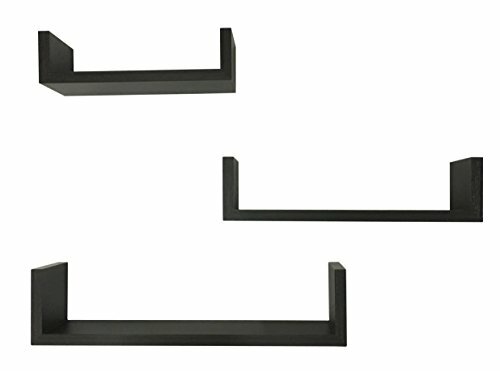 Lets start with just… Plain old cat shelves! We don’t need to get specific yet, since I just want to introduce you to the concept! There are so many cool designs out there, you guys! 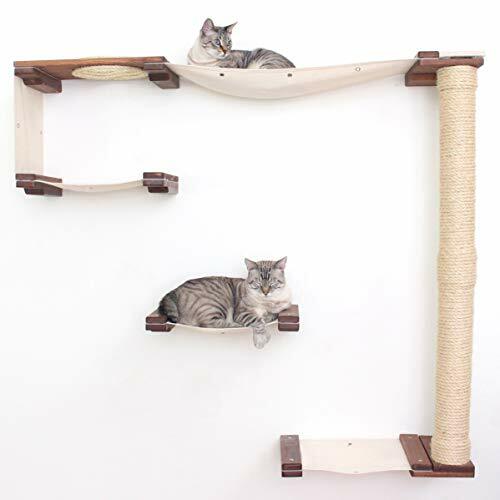 You’ve got curved cat shelves, floating cat shelves, single cat shelves if you just wanna see if your cat likes them and cat shelves that are basically a big kit (like our featured one above) that you can set up so that you can turn your wall into a big kitty jungle gym. 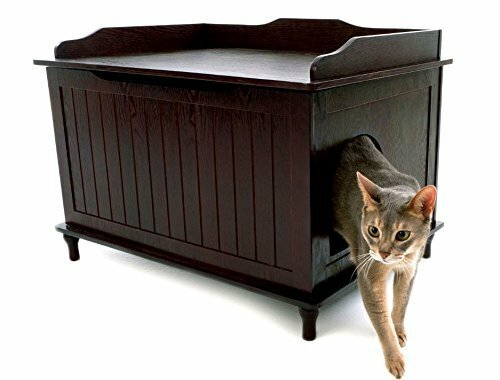 It’s easier than ever to really go ham and create a cat room or wall that even the craziest of cat ladies would envy, especially since you can mix and match to get the most out of your space. 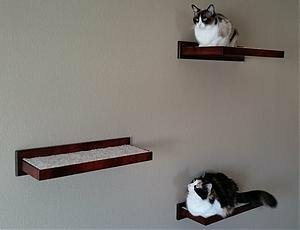 Here we move on to floating cat shelves! A pretty fun subset of the cat shelf category! 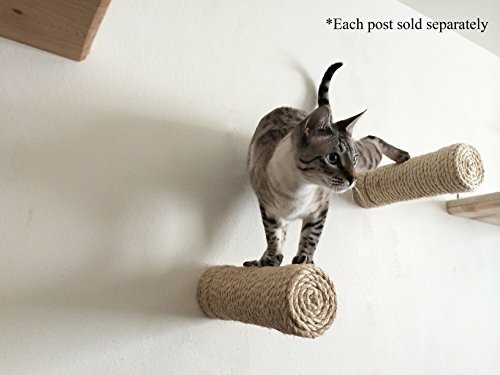 They aren’t attached or connected to other things or other kinds of cat shelves (like the Catastrophi cat shelf kits for example), they just sort of “float” on the wall as the name suggests. Just be sure that if you get more than one you space them carefully! 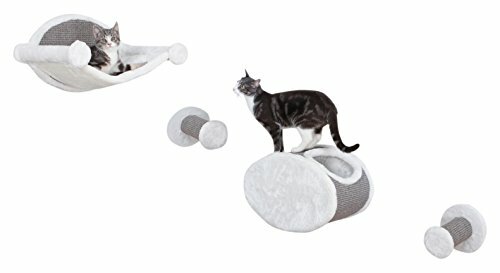 You want them close enough for your cat to have easy access to all levels of your cat wall creation. 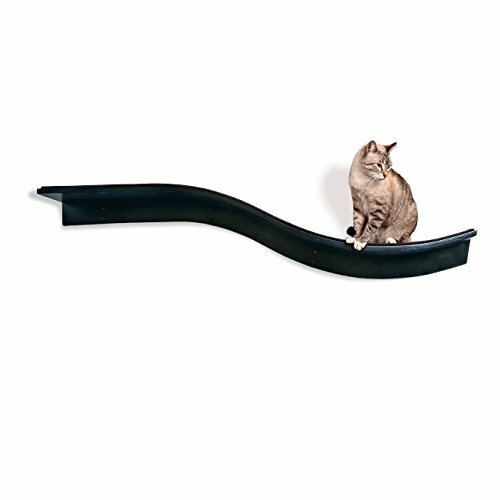 Floating cat shelves really are great since you have so many options to choose from! It opens up quite a few possibilities in terms of configuration and creativity. 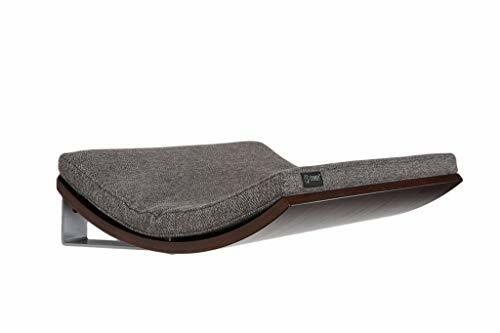 You can also really easily find single cat shelves, so you can test the waters if you are worried your cat might be a bit more picky or scared of the shelves. 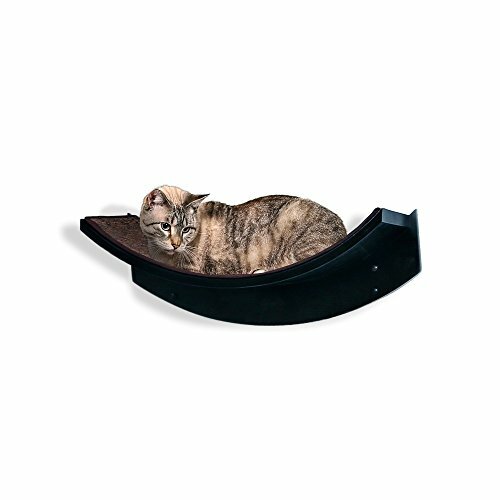 If you are on the lookout for what could be considered a sightly more elegant feel, you might want to consider some curved cat shelves! 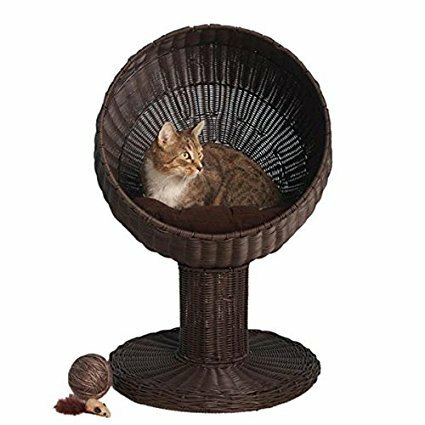 From my experience they can blend in a little better with the home decor, so if you are wanting something that isn’t OBVIOUSLY cat furniture, but more of an interesting and pretty conversation piece you might think about these! 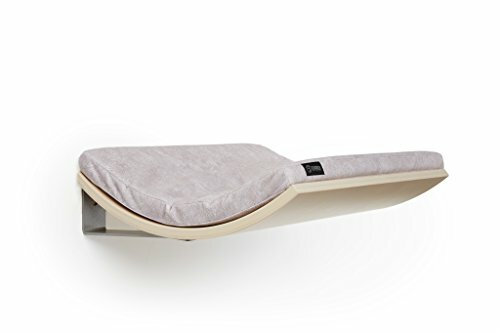 Specifically the Lotus Branch Cat Perch, it’s a really tasteful shelf with some very lovely curve to it! 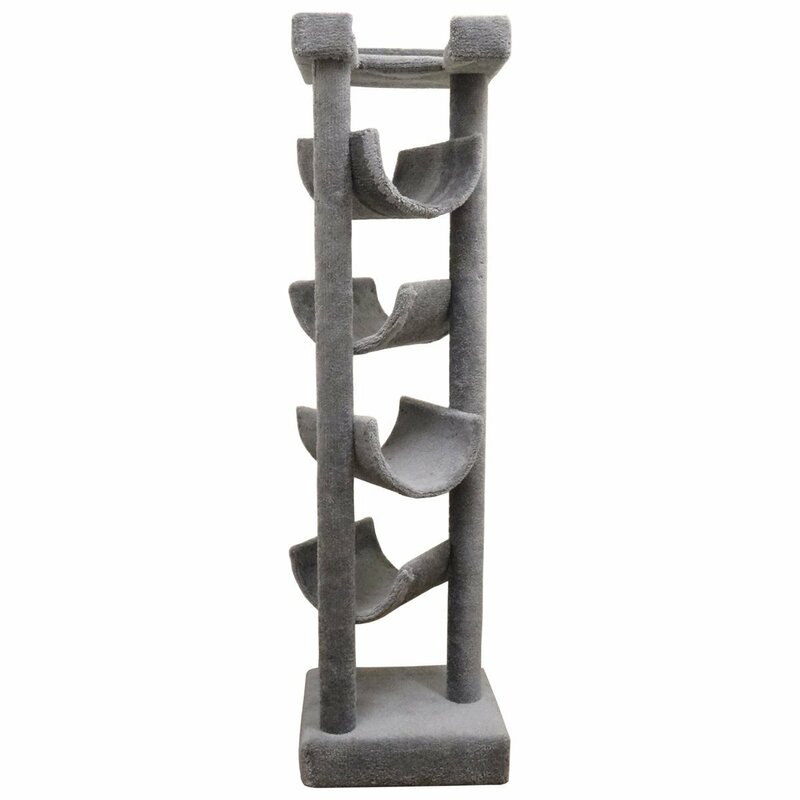 I think it would fit in with any number of decor styles as well, so whatever way you have your house setup, it’ll go along decently well. With that said, there are plenty of options out there if the Lotus doesn’t quite do it for you. 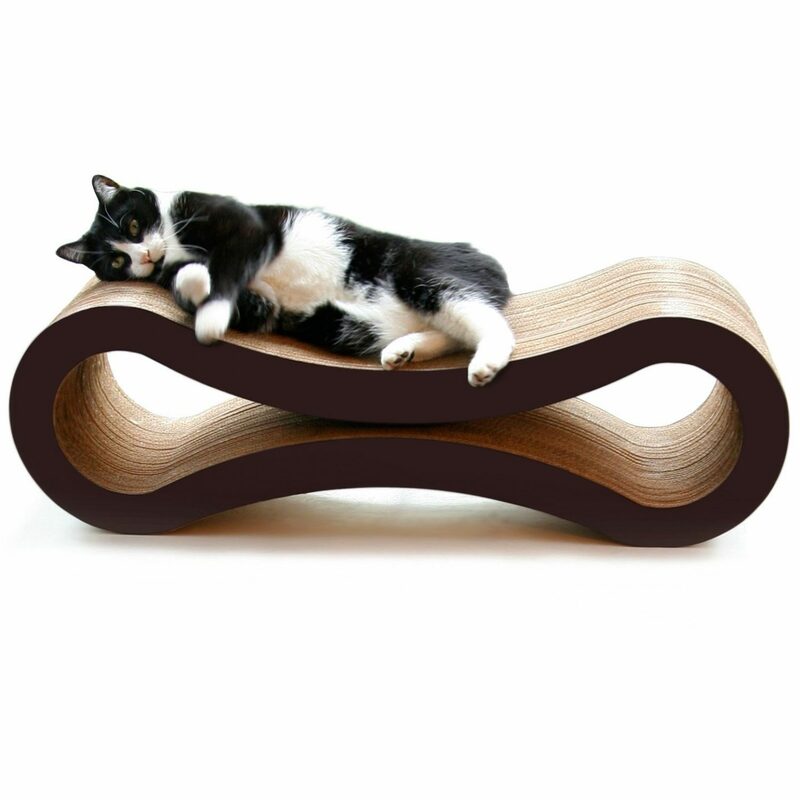 Whether it’s a bit large or just not quite your style, there are plenty of curved cat shelves to peer at below! 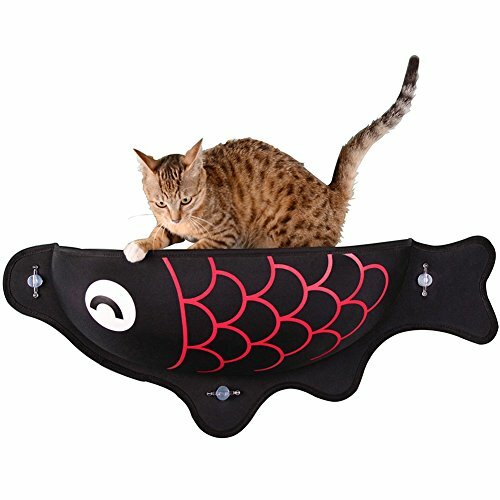 Speaking of Lotus cat shelves! We’ve actually had enough people ask us specifically about these so I thought I should include a section specifically on them. As we have more information on what people want to know about, we’ll be sure to add on those requests as well! 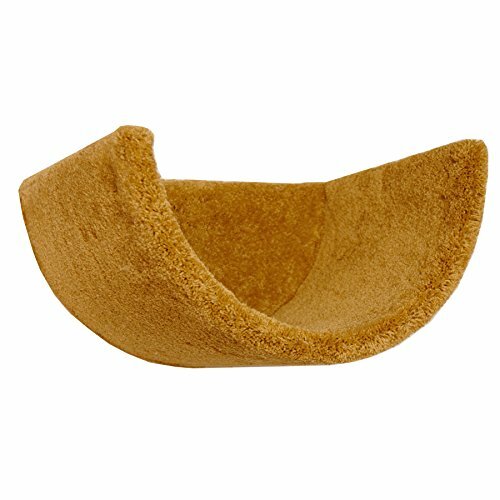 Lotus cat furniture is, in general, wonderfully elegant in appearance. They all seem to have a lovely curve and flow to them! 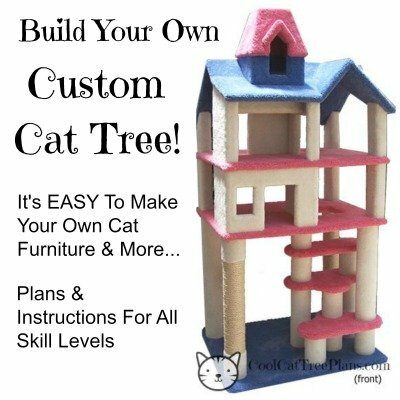 It doesn’t matter if we’re looking at their shelves or their cat towers, they all have that refined feel to them that I think most people would love in their homes! 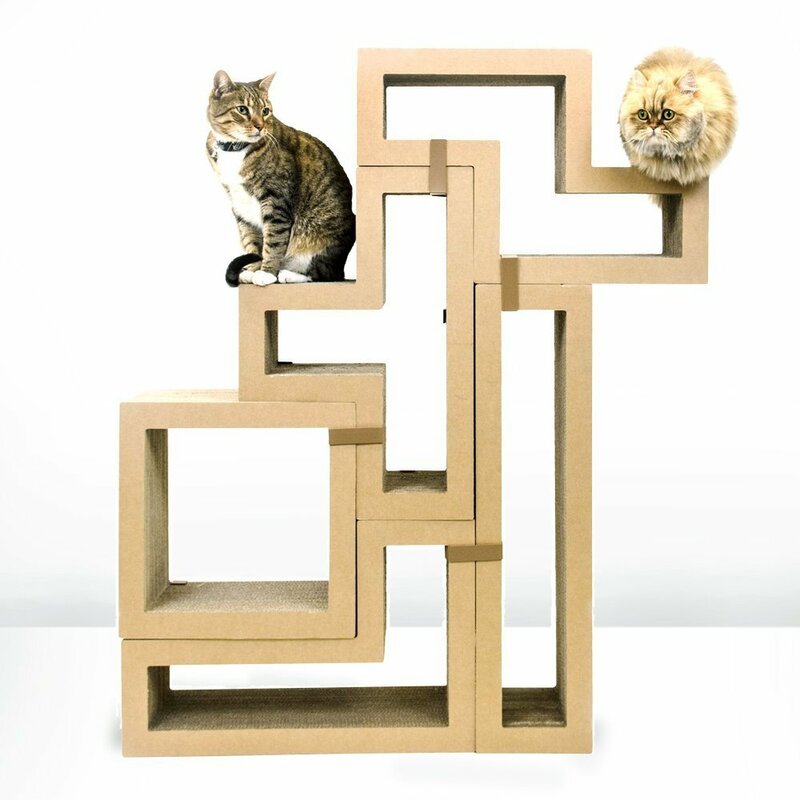 I hope you enjoyed these cat shelves and that this page was useful to you guys! 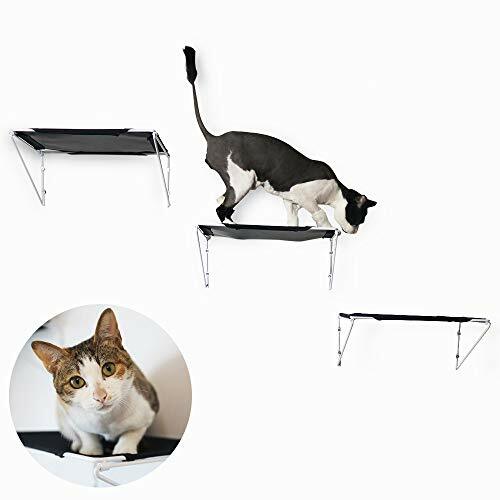 Cat shelves can really be a great way to give your cats someplace to jump and play if you don’t have a lot of space! 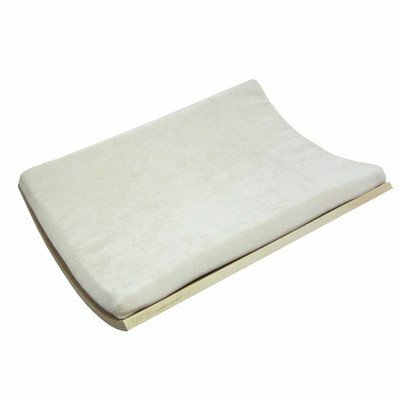 They can also just be a wonderful conversation starter for when you have friends of relatives over. Have a good day guys and embrace your inner cat lady. 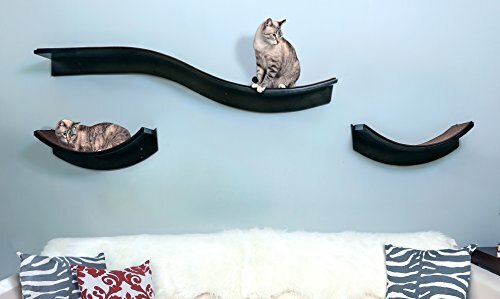 Did You Like These Cat Shelves?